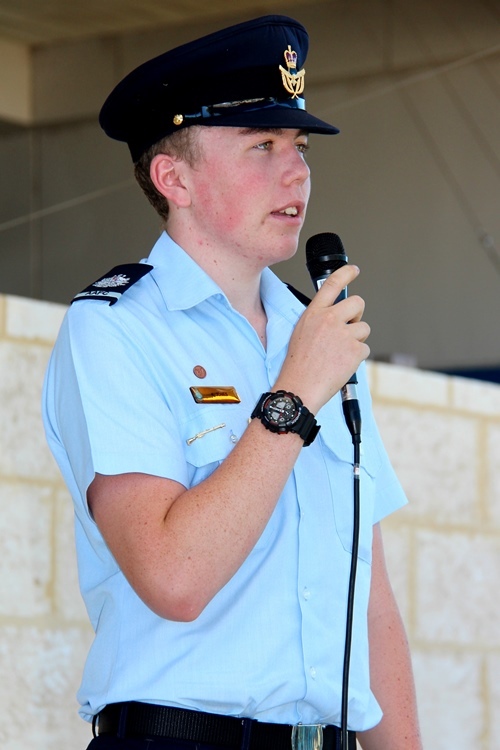 Former CBC Head Boy Karl Jones returned to Comet Bay College this week, as a Cadet Warrant Officer, representing the Australian Air Force Cadet Squadron 707. 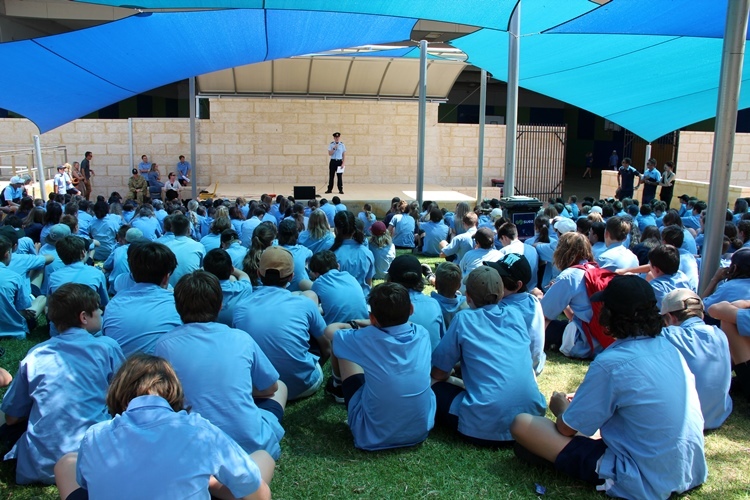 He presented at the assemblies for our Year 7 and 8 students, sharing his knowledge and experiences as an Air Force cadet. 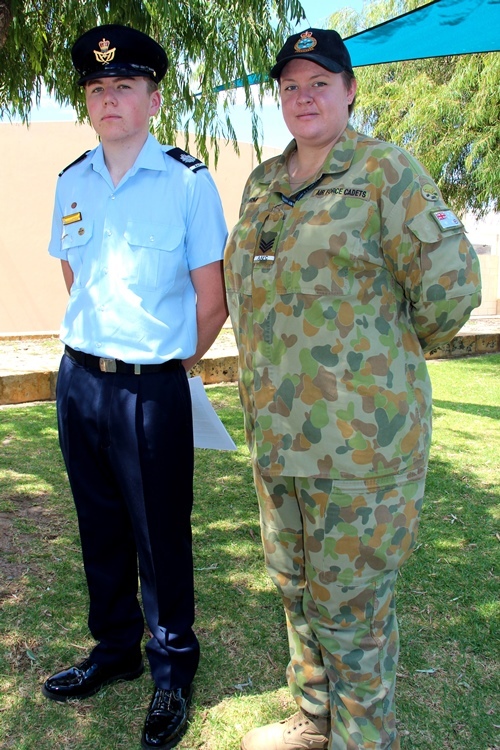 He was joined by XO, SGT(AAFC) Rebecca Sturm from Squadron 708. 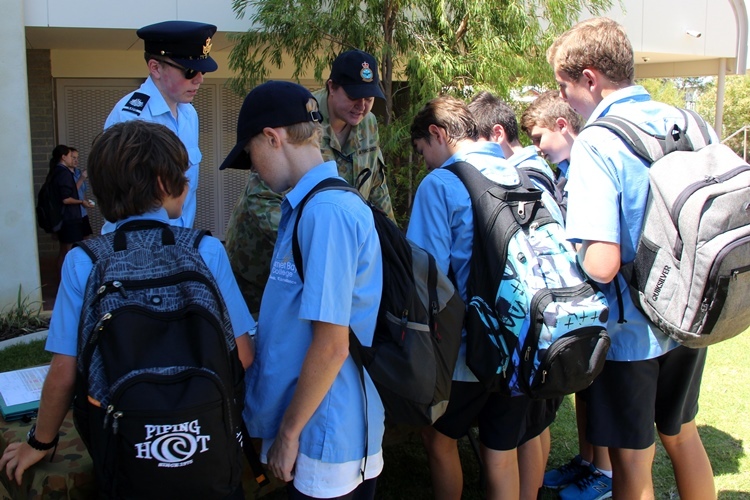 Together they also talked at lunchtime to those students interested to know more. 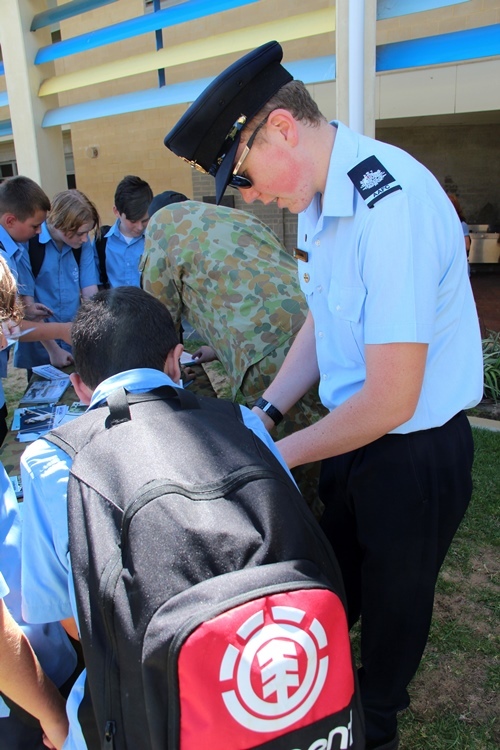 If you have any questions about the Cadet Program please see the Air Force Cadet Website.